I'm attempting to use the multiplexer setup in this article with my Arduino Uno to control the output of LED's, as a way to fully understand the principles of multiplexing. I'm working to modify the code in the article to switch from reading potentiometer values to writing voltage values to the LED's. However, none of the LED's light up. 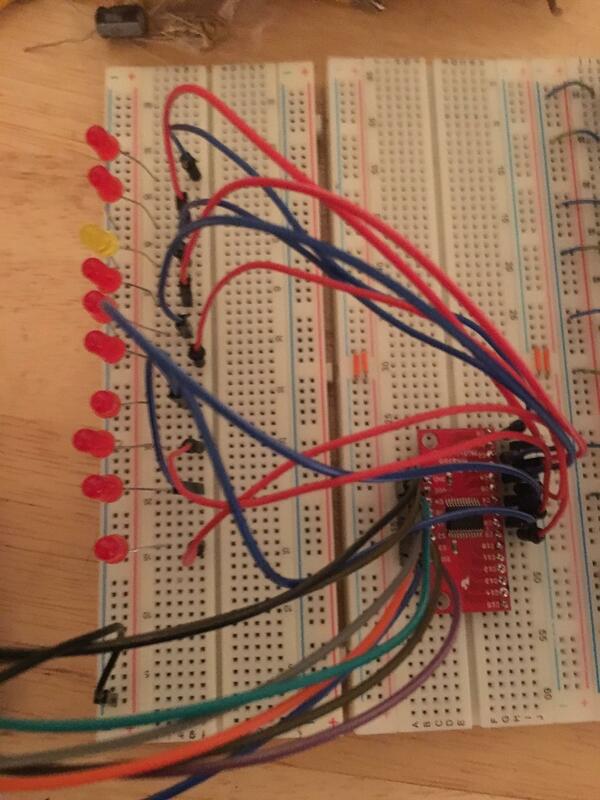 I'm fairly certain that this is more of a problem with the code rather than the circuit...any advice is appreciated! According to the analogWrite() documentation, apparently the trouble are that you have swapped the args. That with respect to code, and i hope it helps you. At the other hand, the circuit, may be a bit dangerous (and can damage the Arduino or the mux) to use LEDs without a current limiter series resistor (330 - 1K Ohm would be nice values, 1/4 W). At least, by a light sight in a datasheet of the CD74HC4067, shows max currents of +/- 25 mA per pin. Similar currents can be driven by the Arduino (Atmega 328P). So, all depends on the internal construction of the 4067, if are a transparent mux, maybe just with a single resistance in the SIG_pin in that range of resistances, would be fine. 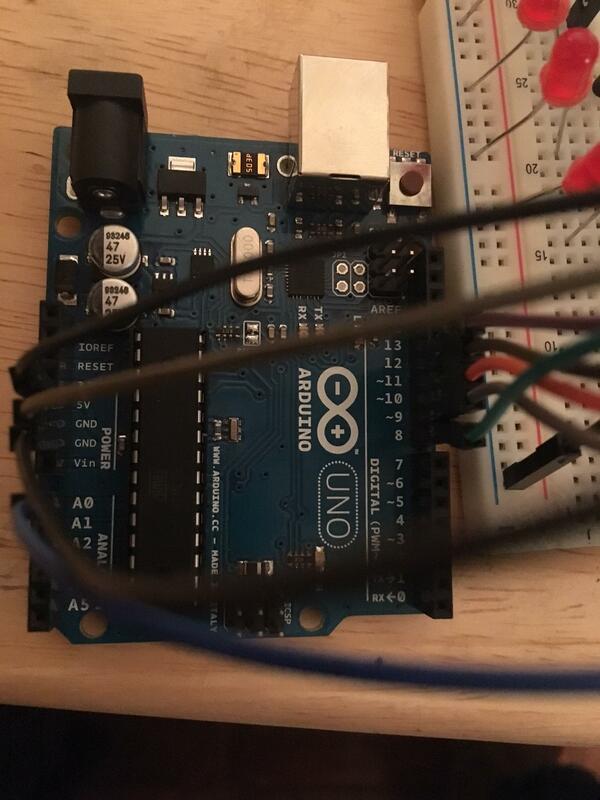 Open the wire that goes from the Arduino to the common of the mux, then place at the output of the same Arduino pin, a LED-resistor series. Then change in program only the value of testvalue at the beginning of the code and check if the led changes their intensity according to that. That would be an Ok for that pin of the Arduino. Reply the previous step to each of the channel pins. According to the code, you should see an increasing 1 Hz, 4 bits counter (rather, a BCD counter) in thet formed 4 led array. That would be an OK for the channel selection pins. Remove the leds and connect back the opened lines. Not the answer you're looking for? Browse other questions tagged arduino-uno led analogwrite multiplexer or ask your own question.